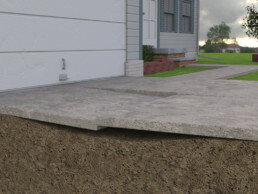 Concrete leveling, or mudjacking as it’s sometimes known, is a two-step procedure that works to prevent further instability and repair the integrity of concrete surfaces. 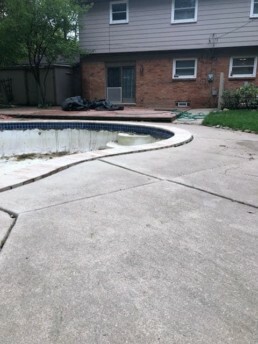 In the first step, a professional will drill holes at strategically placed locations and, in the second, fill those holes with a substance like limestone to restore the balance to the concrete surface. It can be easy to miss some of the more subtle signs that indicate you need interior concrete leveling. Yes, cracks in the ceilings, walls, and floors are obvious indicators that you might have a problem. More subtle symptoms of unbalanced concrete floors include stuck windows or doors and sloping floors/other surfaces. Lastly, damp smells in your basement could indicate real trouble in regard to mold affecting your foundation. If you’ve experienced any one of these issues in your home, then don’t wait another minute to contact a professional. As with most home-maintenance issues, the sooner you can identify and address them, the better off you’ll be. 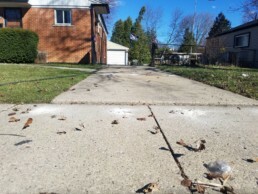 Concrete leveling is often a more cost-effective and viable alternative to replacing concrete slabs entirely. What’s more, ensuring that your concrete surfaces are level and stable can mitigate against other potential problems within your house. In addition, concrete leveling is a relatively quick and seamless process; in fact, your floors will be good as new within 24-48 hours –– at most. Typically, it only takes a few hours to successfully raise and level an individual concrete slab. Concrete leveling inside and outside of your home is a process that can save you lots of time (as well as money!) and prevent plenty of headaches down the line. Remember, taking action today will improve your chances of finding a feasible solution to your concrete-repair problem. So don’t hesitate to contact us here at Detroit Concrete Leveling. We specialize in this line of work and know how to handle any assignment –– no matter how big or small. Call now at (866) 472-9033and let us help you today!